The board of directors consists of the four officers who are elected biennially in odd-numbered years. The board of directors sets the general direction of the association subject to the orders of the membership. 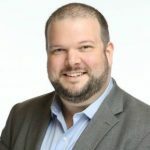 Evan A. Lemoine, PRP of Rhode Island has been a member of the National Association of Parliamentarians (NAP) since 2008, a registered member since 2009, and professionally registered since 2011. He was the charter president of the NAP Electronic Unit (2011), New England Association of Parliamentarians (2013), and Young Professionals Parliamentary Practice Unit (2017). He is a past two-term NAP Treasurer (2011-15), and served as EAP Vice President (2017-19). Beth Sapp James, PRP, of League City, Texas, has been a member of the National Association of Parliamentarians (NAP) since 2010. Beth received the distinction of Parliamentarian of the Year 2017 by the Texas State Association of Parliamentarians (TSAP). 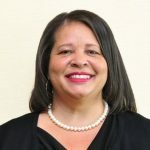 Ms. James has served in many local and state positions, including the Charter President of Gulf Coast Parliamentarians (2011). Current positions include NAP Professional Development Committee (Member), the TSAP (Bylaws Committee Chair), Electronic Association of Parliamentarians (Charter Secretary, Treasurer), Gulf Coast Parliamentarians (Parliamentarian), Green Gavel Electronic Unit (Charter First Vice-President). She served as the 2017-19 EAP Secretary and served an unexpired term of Treasurer (began December 2018). 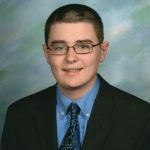 Thomas Holmes of Rhode Island has been a student member of the National Association of Parliamentarians (NAP) since 2017. He has served as secretary of the NAP Electronic Unit (eNAP) and as chair of the eNAP Nominating and Membership Committees (2018). He now serves eNAP as Vice President and Secretary and chairs both the Membership and Education Committees. He is also chair of the Nominating Committee for the New England Association of Parliamentarians. He served as a member of the EAP Education Committee. David A. Whitaker, RP of North Carolina has been a member of the National Association of Parliamentarians (NAP) since 2016 and a registered member since 2017. 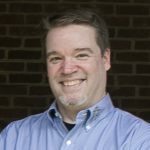 He is Webmaster for the North Carolina Association of Parliamentarians for the 2018-20 biennium and is a member of the Budget Committee for NCAP. He is President and a founding member of the Tar Heel E-Unit of Parliamentarians founded in 2018. He is a member of the Association Relations Subcommittee of the MERC for NAP and serves as the Editor of the Leadership Connection newsletter. He is also a member of the Green Gavel E-Unit of Parliamentarians. He served as a member of the EAP Education Committee.